Jeddah, located by the Red Sea, is the second largest city in Saudi Arabia. 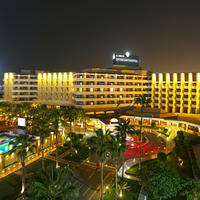 It is a major commercial centre in the country and is known for its open air modern art across the city. 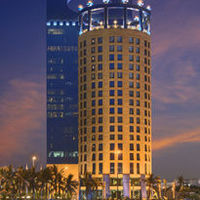 Jeddah is famous for its shopping districts, restaurants and cafes. There are plenty of shisha cafes and coffee shops, which specialize in traditional Arabic tea and coffee. The sacred city, Mecca is just an hour’s drive from Jeddah. Desert camping is one of the most important activities to indulge in Jeddah. Season to book Jeddah Hotels: Hotel rates are cheap during the summer season, as the temperature is too hot for people to enjoy the outdoors. 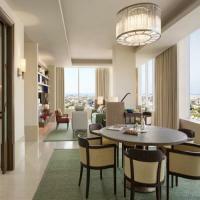 Many hotels offer amazing deals during this period to attract more visitors. 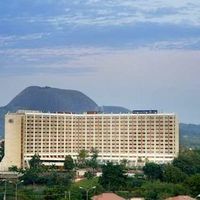 Hotels rates are most expensive during the peak season, which is between the months of December and February. 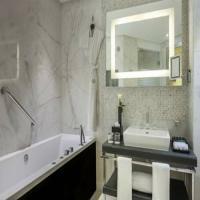 Do not wait until the last minute, instead book months in advance to get the best rates. Location of Jeddah Hotels: Location is one of the main determiners of hotel pricing, so, if you are looking for a cheaper hotel, then it is better to choose a hotel that is little away from the main city area. Riyadh city is well connected by buses, taxis, etc. So, you can save money on a fancy location and instead spend on some of the great hotels that are a little away from the main city. 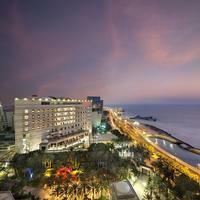 Jeddah hotels in Budget: Set your budget before planning your trip. Travel booking website like Cleartrip has pricing as one of their search criteria. 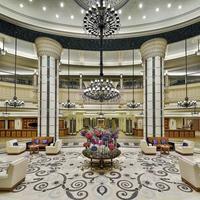 Through this, you can find the best hotel in Riyadh within your budget. 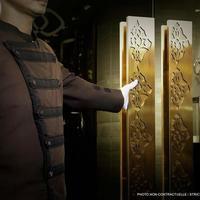 Reviews of Hotels in Jeddah: While booking a hotel remember to check the reviews about the hotel online or from someone whom you know personally who has visited the hotel in the past. 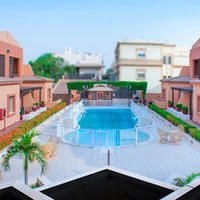 Reviews will give you a rough idea about the facilities and services offered by the hotel. 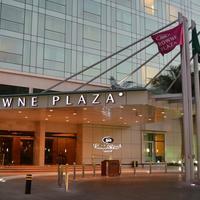 Hotels in/near Al Rawdah- It is 15 km away from the King Abdul Aziz International Airport. 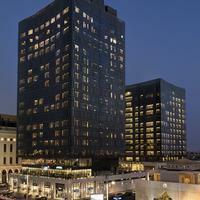 Some of the top hotels located in this area are Radisson Blue Royal Suite Hotel and Le Meridien Hotel. 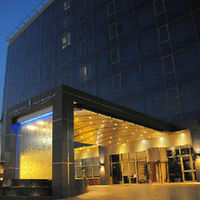 Hotels in/near Al Faisaliyah- It is at a distance of 13 km from the King Abdul Aziz International Airport. 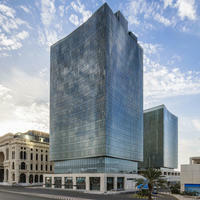 Boudl Tahaliah, Frontel Jeddah Hotel Altahlia, Taj Alarous Hotel Apartments are some of the hotels near Al Faisaliyah. Hotels in/near Airport Area- Garden Palace Hotel and Casablanca Grand Hotel are two of the hotels located near the airport area in Jeddah. By Air: The nearest airport is King Abdul Aziz International Airport which is located 19 km north of Jeddah and is also known to be the largest airport in the kingdom of Saudi Arabia. The airport connects Jeddah to various parts of the world like London, Mumbai, New Delhi, Kuwait, Athens, Ras Al Khaimah, Madrid, Los Angeles, Abu Dhabi, Bahrain, Singapore, New York, Paris, Frankfurt, Karachi, and more! The airport also connects to domestic cities like Riyadh and Mecca. By Road: Highway 40 connects Jeddah with other cities like Mecca, Riyadh and Damman. Jeddah is one hour drive from Mecca and around 4 hours from Medina. Saudi Public Transport Company (SAPTCO) runs regular buses from Jeddah to other major cities and towns in Saudi Arabia like Jordan, Syria and others. Apart from this, there are also lots of private bus services from various cities in Saudi Arabia to Jeddah. By Water: One can reach Jeddah by ferries that operate to/from Sudan and Egypt. 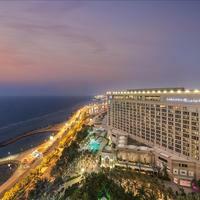 Cleartrip offers a wide range of hotel options in Jeddah to choose from on the basis of price. 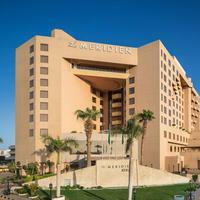 Starting from SAR 97 up to SAR 2489, you can choose a hotel in Jeddah based on your budget and other preferences. King Fahd Fountain- Recognized as the world’s tallest fountain, King Fahd Fountain is one of the main tourist attractions in Jeddah. The Fish Market- Fish Market located in the City Centre of Balad is the perfect destination to find all the fish species direct from the local reefs in the Red Sea. Fakieh Aqaurium- This fish aquarium is one of the must visit places in Jeddah. It houses different fish varieties like sharks and also marine lives like turtles. Arcade, buffet restaurant and ice-skating for kids is also a part of this aquarium. Floating Mosque-One of the most visited destinations in Jeddah is Floating Mosque. The mosque is a wonderful blend of modern and traditional architecture. 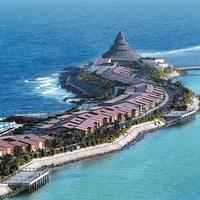 Culture: Jeddah is a world renowned place of pilgrimage. There are many buildings made of coral blocks which are protected by the state and are of a great cultural value to the people. Language: Arabic is the official language of UAE. Food: Owing to its close proximity to Red Sea, sea food dominates the food culture of Jeddah. Their local cuisine include lamb, rice, wheat, chicken, yogurt, potatoes and dates. Shopping: One can visit traditional markets like Souq Al Nada, Souq Al Alawi and Souq Al Jamia to buy beautiful handicrafts, silver and gold jewellery, clothes, shishas, wooden handicrafts, dates, incense, or else visit upscale malls like Mall of Arabia, Red Sea Mall, N2, Heraa International Mall, Darat Safeya Bizagr, Jeddah Mall, Al Salam Mall and others to shop high end brands like Gucci, D&G, and Versace. Mecca- It is at a distance of 66 km from Jeddah. Makkah- It is 70 km away from Jeddah. Al Bahah- It is 291 km away from Jeddah. Medina-It is 328 km away from Jeddah. Abha- It is 506 km away from Jeddah. Summer is very hot and dry but winters are very pleasant and cool. The temperature in summer rises up to 45 degrees while during the winters, temperature ranges between 10 and 20 degrees. The best time to visit Jeddah is during the winter months- October to March. The weather is cool and extremely pleasant for tourists to explore the city. Due to the favourable climate, the city witnesses tourists in great numbers. 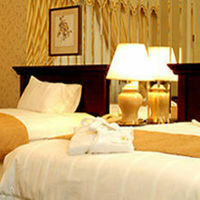 It is advisable to book the hotels well in advance to get the best rates. These summer months are really hot and humid making it very difficult for people to explore the city and outdoor activities. 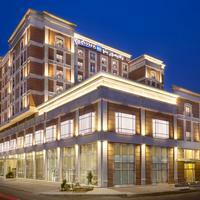 Hotels are cheap as the hotels offer discounts to attract the crowd during this time. Eid-ul-Fitr- The most important festival for Muslims is Eid-ul-Fitr, which is celebrated for three days to mark the final day of fasting month of Ramadan. The festival involves prayers, large feasts and celebration. Eid al-Adha- Another important festival for Muslims is Eid al-Adha, which lasts for a period of four days. It is celebrated by saying special prayers and by slaughtering lambs. Ramadan-Ramadan is a festival, which is celebrated in the 9th month of the Islamic calendar. During this festival, Muslims abstain themselves from smoking, drinking, etc. and also observe fast from dawn till dusk. Jeddah Festival-This festival popularly known as the Jeddah Summer Festival takes place during the months of June and July in the port city of Jeddah with ample number of fireworks. This is the perfect time to relish traditional cuisines and to purchase local handicrafts. Hayya Jeddah Festival- This 30-day shopping festival is the largest shopping festival in Saudi Arabia, organised by the Saudi Commission for Tourism and National Heritage and King Abdul Aziz International Airport. Jeddah Food Festival- This is an annual event for the food industry and also for all the food lovers in the country. Jeddah Food festival is a perfect place for international and local restaurants to showcase their best foods.